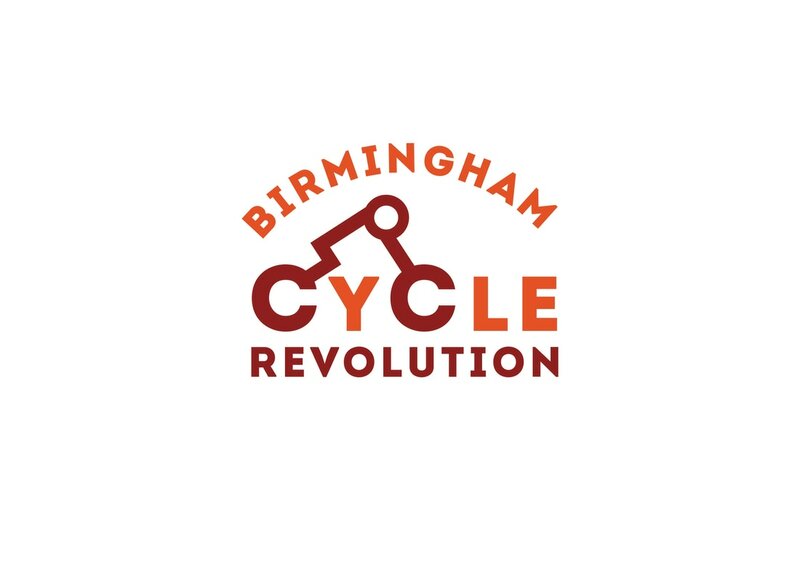 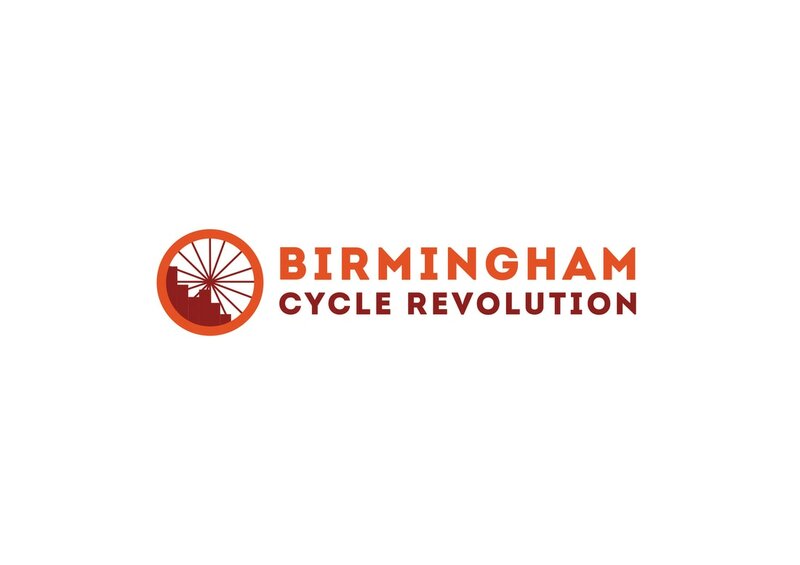 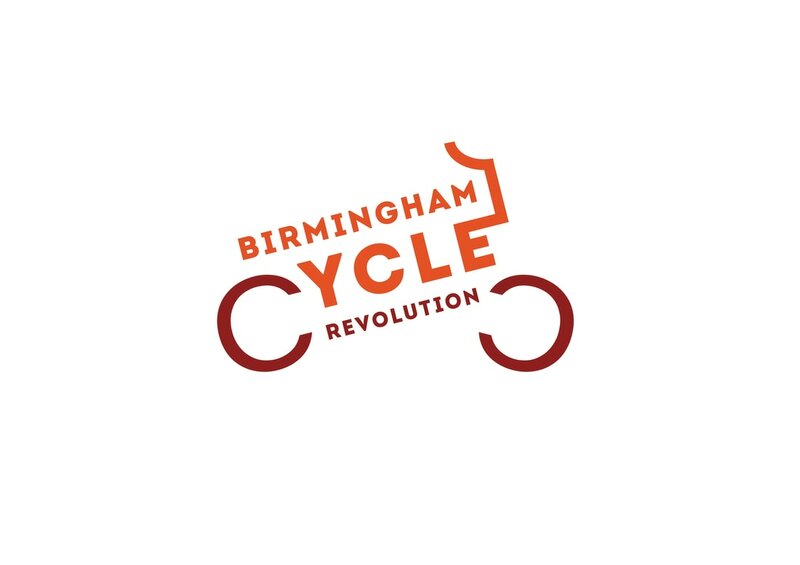 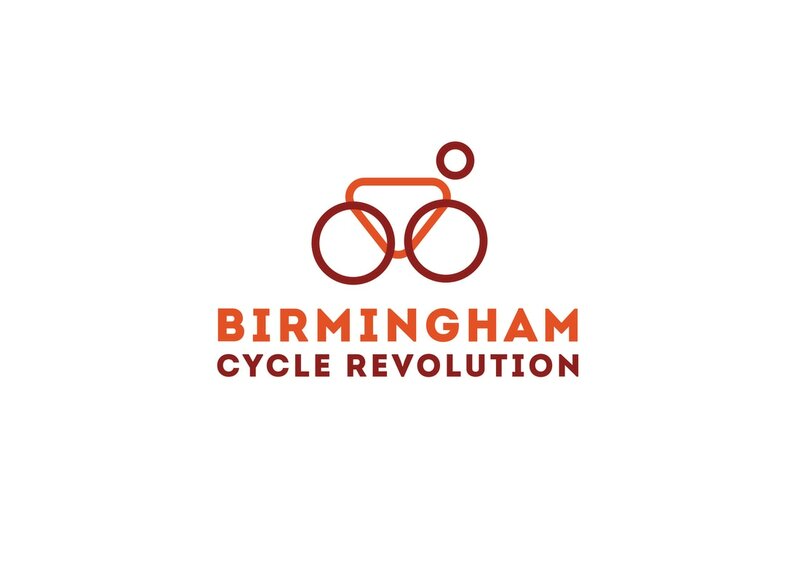 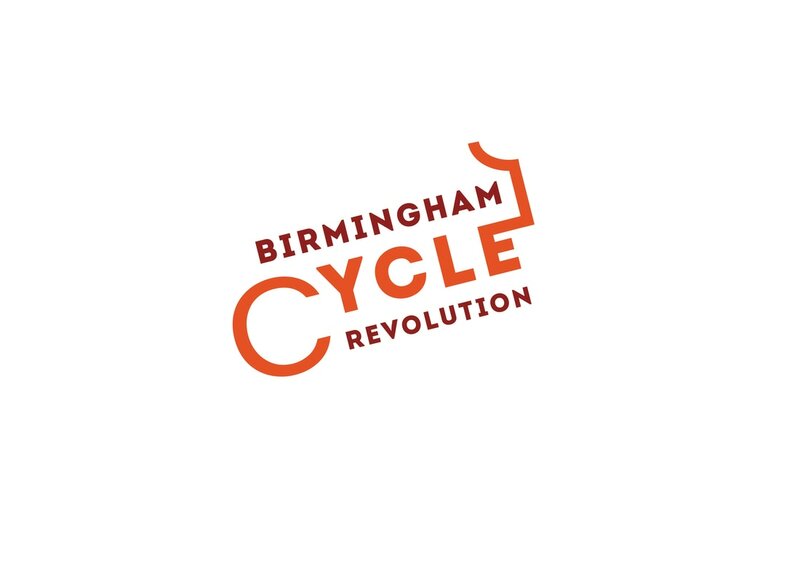 While working at Studio 14 as an intern I was tasked to come up with some logo concepts for a proposed branding project for Birmingham Cycle Revolution in order to get more people cycling in and around the city. 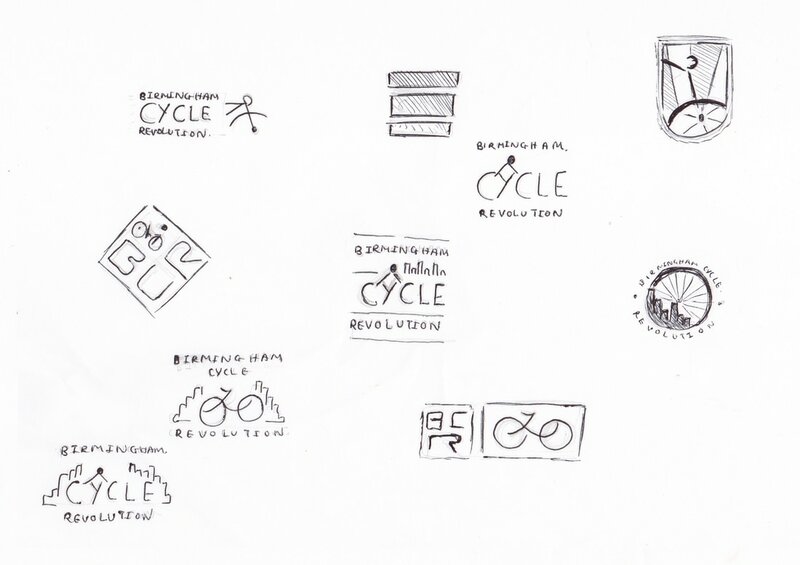 Initial rough sketches are so important, this is where the main idea generation takes place, ideas are everything. 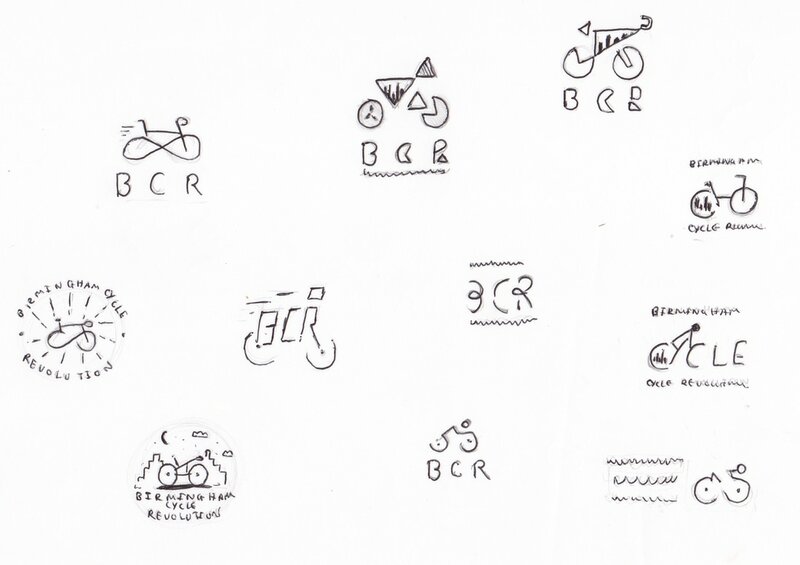 I developed this abstract mark, I thought it worked nicely how simple shapes can communicate a biker. 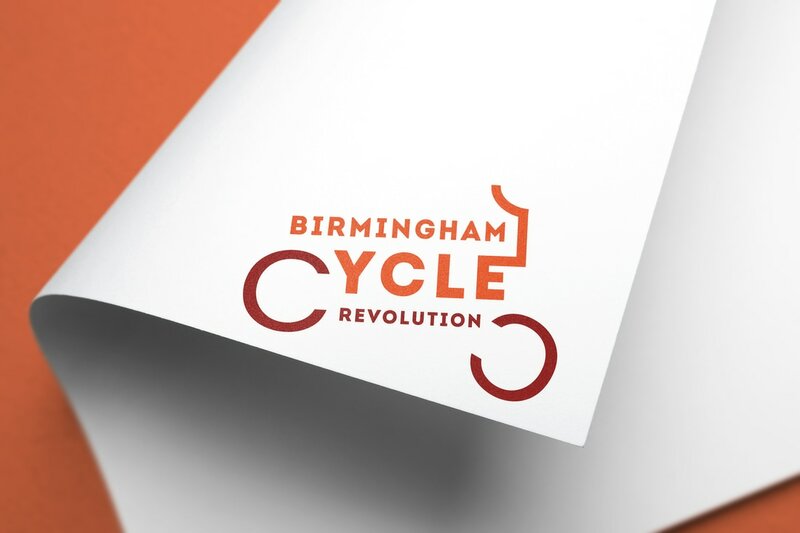 Experimentation with simple combinations of typography and shape. 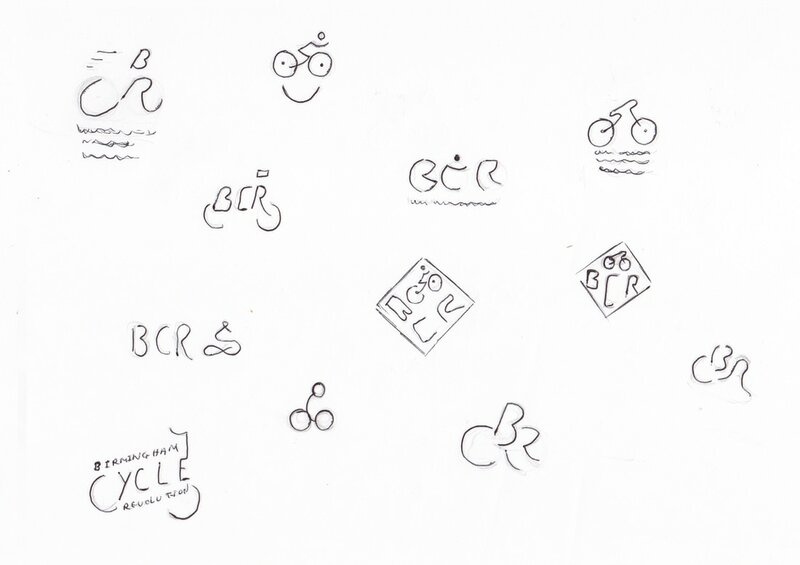 This concept bought both themes of the bike and city together. 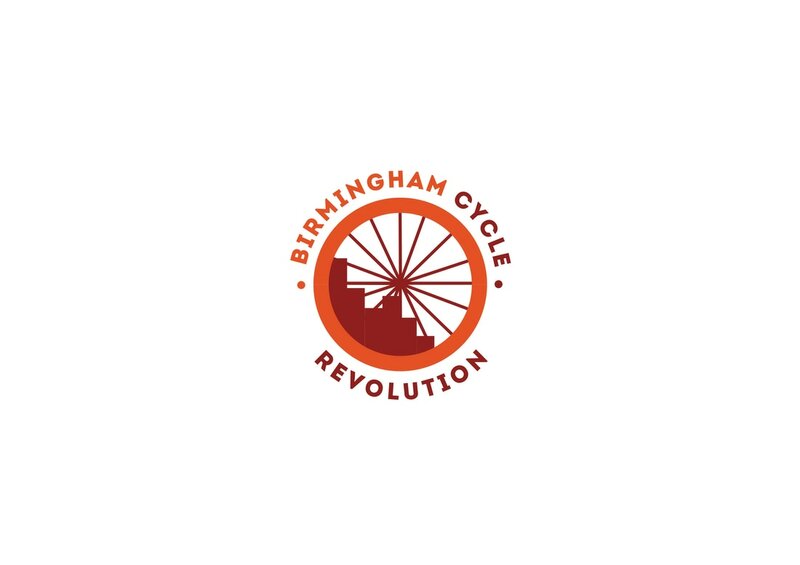 In the word cycle i noticed i could link the two c's to be bike wheels, this worked rather nicely showing a connection with the imagery and typography. 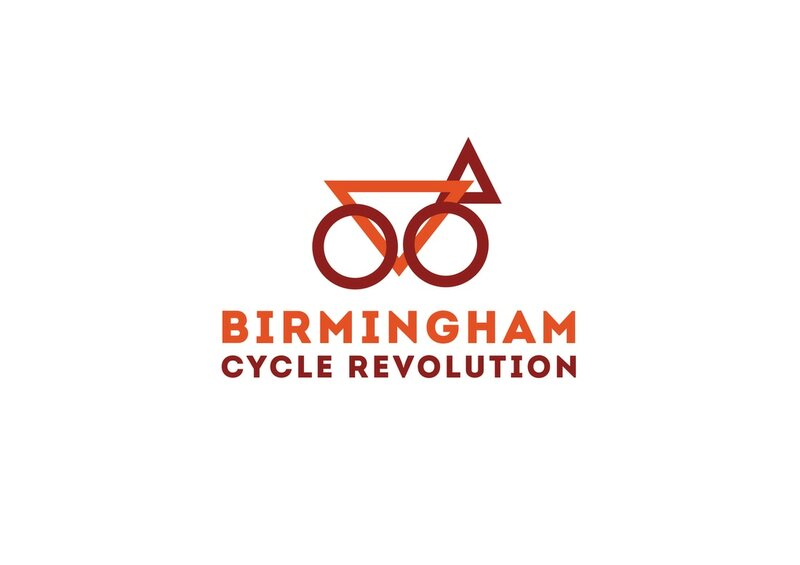 Below is the final logo chosen. 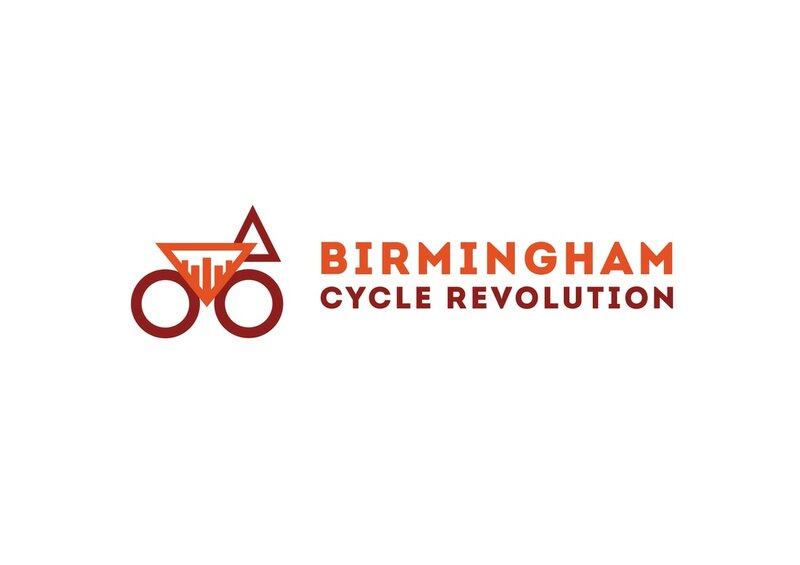 The decision was made due to the way the typography contributes to revealing the full image of the bike. 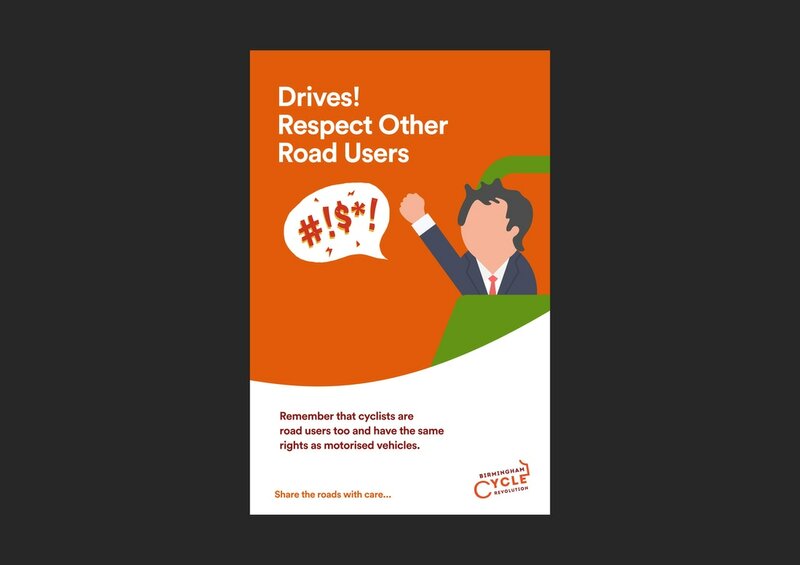 I produced a flyer to show the branding and how the logo could be used.